“A weakened immune system can lead to an increase in both colds and infections during the winter,” says Lily Soutter, nutritionist and weight loss expert (www.lilysoutternutrition.com). Here, Lily suggests her favourite immunity-boosting foods to stock up on during the winter months. As many immune molecules are made up of protein, it’s absolutely essential for immunity. Salmon is not only an extremely healthy source of protein but it is also rich in vitamin D. Vitamin D is a fat-soluble nutrient, which plays a key role in boosting the immune system. You can steam, bake or fry wild salmon and serve with a little olive oil and lemon juice. 70 per cent of your immune system resides within your gut and the gut has more immune cells than the rest of the body put together. Gut bacteria directly informs and influences our immune system, which is why a healthy gut means a healthy immune system. Look out for natural yogurt with ‘live cultures’ to ensure the daily dose of good bacteria. 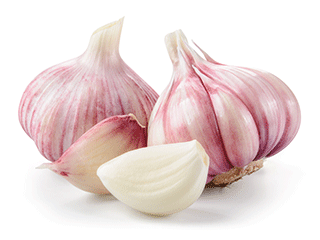 Garlic has amazing antibacterial, antiviral and antifungal effects. Raw garlic is the most effective and can easily be added into pesto, bruschetta, infused oils, salad dressings and healthy dips like hummus and guacamole. Pumpkin seeds have been a long time valued source of zinc. Zinc is so important to the immune system that even a mild deficiency can increase risk of infection. Try eating a handful of raw, unsalted pumpkin seeds a day. Mushrooms have been used for their immune-boosting effects for centuries. A special sugar found in mushroom cell walls called beta glucans is the key to improving our immune defences. The varieties Shiitake, Cordyceps, Enoki and Mitake are especially effective. Try experimenting with different mushroom varieties in stir-fries, soups, stews and casseroles. Coconut oil is rich in special fatty acids called lauric and caprylic acid, both of which have excellent antimicrobial properties. 50 per cent of coconut oil is made up of lauric acid, which is converted in the body to an antiviral compound called monolaurin, making it the perfect food to ward off colds. Coconut oil is a healthy cooking oil which can also be used within energy balls, cakes, bread and even raw chocolate! These are a wonderful source of vitamin C and antioxidants such as anthocyanin, giving you the immune support you need. Strawberries work well in smoothies, as a topping for your breakfast, desserts, or eaten by the handful. Elderberries: Bursting with brightly-coloured pigments that act as natural antioxidants, elderberries are a natural source of vitamin C. They have also demonstrated the ability to deactivate 10 strains of the flu virus. Echinacea: A classic and very traditional remedy for the immune system. It’s particularly effective where individuals have become run down as a result of stress or over-work. The classic scenario is that an individual becomes ill as soon as they start to relax. Echinacea will support and gradually strengthen a weakened immune system. Andrographis: This is a very traditional Ayurvedic herb, with a distinctive and strong, bitter taste. It has the ability to reduce the severity and duration of an infection. It is no secret that we can boost our immune system and our physical health through what we eat and this why, as the winter months approach, everyone doses up on vitamin C and echinacea. However, very few people realise that altering their thought processes and practising some form of relaxation therapy such as meditation or hypnosis can actually really boost immune function too. There are many studies which demonstrate that we are able to improve our body’s immune function and therefore protect ourselves from a whole host of physical ailments and diseases, just by taking some time to meditate or by having some hypnosis/hypnotherapy sessions. One study conducted in 2002 demonstrated directly that hypnosis sessions can help to protect us against winter viral infections. Another similar study demonstrated that 48 employees, after being given weekly meditation training for eight weeks, had significantly higher levels of antibodies than the control group (as well as having higher levels than they started off with before the study). Our thoughts affect our physical state much more than most people realise. This is why the positive thoughts fed into our mind through hypnosis and the relaxed state we reach through meditation can really improve our physical health. There is ample evidence that mind-body therapies and relaxation techniques can really boost our immune system and therefore our body’s ability to protect itself from viruses such as those which cause us colds and the flu over the winter months. 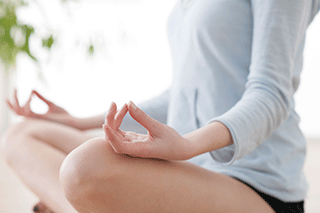 So as the winter approaches finding time to set aside 15 minutes a day to meditate, practice self-hypnosis or even just to relax may be just as useful as buying those vitamin C supplements.